It is the most exacting of surgical skills: tying a knot deep inside a patient’s abdomen, pivoting long graspers through keyhole incisions with no direct view of the thread. Trainee surgeons typically require 60 to 80 hours of practice, but in a mock-up operating theatre outside Cambridge, a non-medic with just a few hours of experience is expertly wielding a hook-shaped needle – in this case stitching a square of pink sponge rather than an artery or appendix. The feat is performed with the assistance of Versius, the world’s smallest surgical robot, which could be used in NHS operating theatres for the first time later this year if approved for clinical use. Versius is one of a handful of advanced surgical robots that are predicted to transform the way operations are performed by allowing tens or hundreds of thousands more surgeries each year to be carried out as keyhole procedures. The Versius robot cuts down the time required to learn to tie a surgical knot from more than 100 training sessions, when using traditional manual tools, to just half an hour, according to Slack. Surgical robots already exist but the latest models are easier to use and take up far less space; some, such as Versius, are mobile enough to be wheeled from theatre to theatre. 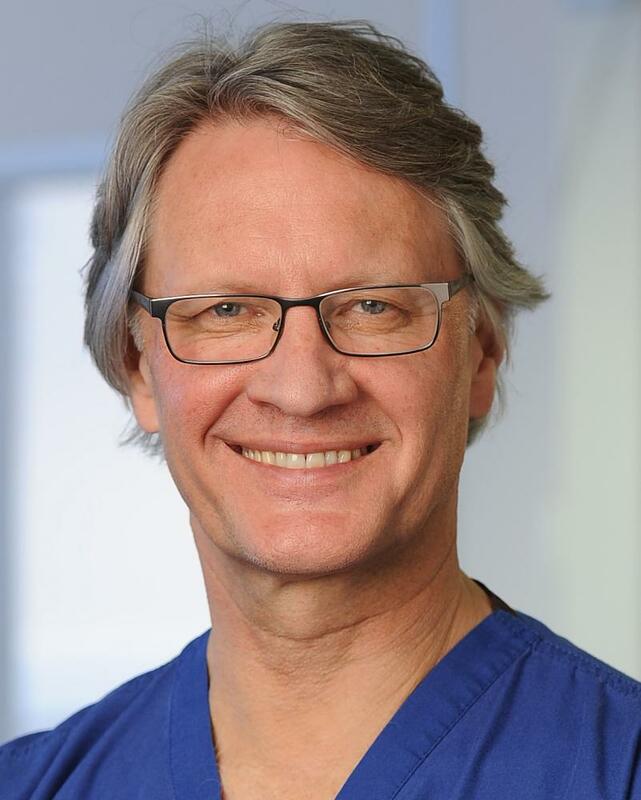 Intuitive Surgical, whose original Da Vinci robot has dominated the market since being approved in 2000, has a new “single port” model in the pipeline, allowing surgery to be carried out through a single incision. The medical device companies Medtronic and Verb Surgical – a partnership between Johnson & Johnson and Google’s parent company, Alphabet – also have surgical robots in the last phases of pre-clinical development. The benefits of keyhole surgery over open surgery are well-established: rates of hernia are halved, the consequences of infections are far less severe (re-admission rates of 0.2% versus 52%) and fewer painkillers are required. However, the technical expertise required means many patients don’t get the chance. In the NHS, 71% of appendix surgery, 28% of colectomies, 13% of hysterectomies, 32% of lung lobectomies, and less than half of qualifying pelvic and abdominal procedures are done through keyhole procedures. Versius comprises three robotic limbs – each slightly larger than a human arm, complete with shoulder, elbow and wrist joints – mounted on bar-stool sized mobile units. Controlled by a surgeon at a console, the limbs rise, fall and swivel silently and smoothly. The robot is designed to carry out a wide range of keyhole procedures, including hysterectomies, prostate removal, ear, nose and throat surgery, and hernia repair. CMR claims the costs of using the robot will not be significantly higher than for a conventional keyhole procedure. With manual laparoscopic instruments, a surgeon has to carry out every movement through a tiny incision, pivoting their hand to the right to move their instrument left and so on. Surgeons are often forced to lean or stoop with arms stretched at awkward angles, meaning that repetitive strain injury (RSI), back, knee and neck injuries are common. By contrast, surgical robots are built ergonomically and the surgeon’s hand movements are mirrored in the movements of the instrument. Although described as robotic surgery, even the most sophisticated technologies in development are largely controlled by a human doctor. 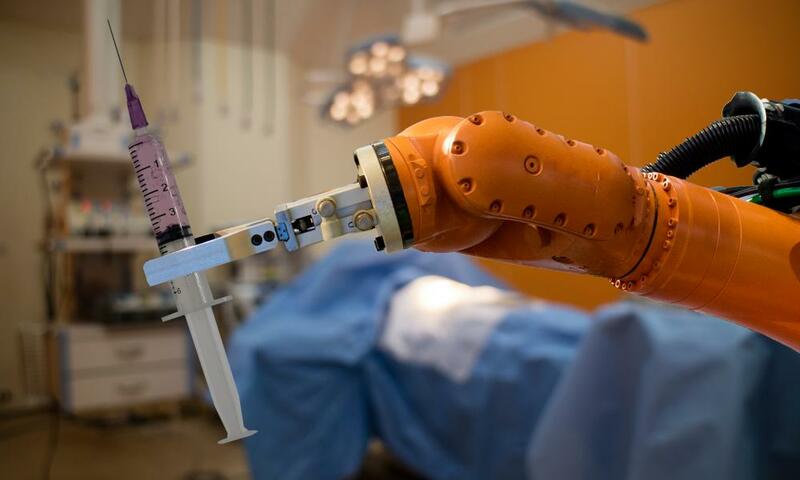 “Some patients think it’s about the robot performing the operation on its own, which is not the reality,” said Prof Guang-Zhong Yang, director of the Hamlyn Centre for Robotic Surgery at Imperial College London. Automation is currently aimed at smoothing out hand tremors or marking out “no fly zones” to prevent a surgeon touching or damaging nearby nerves, vasculature or organs. Robotics also provides super-dexterity by allowing magnified vision and miniaturised hand movements. In the future, telemetry data collected from large numbers of surgeries could help identify the most effective ways of performing a procedure and provide real-time feedback to surgeons to improve their technique. It has been suggested that the advent of robotic surgery could pave the way for remote operations performed by surgeons sitting in a mission control room in a different city or country from their patient. However, Yang urges caution. “What you want is for robots to be integrated seamlessly … so that they disappear into the fabric of an operating theatre,” he said.